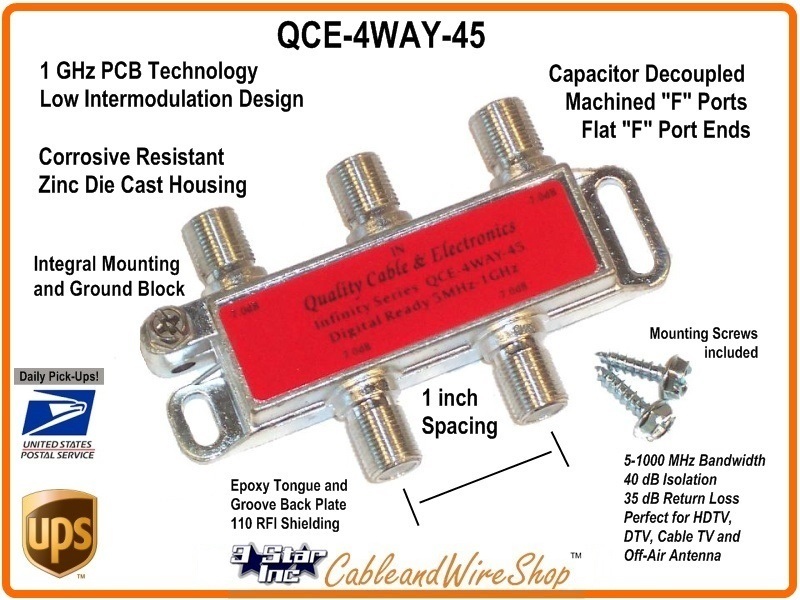 QCE-4WAY-45 4-Way Horz. Splitter 5-1000 MHz. with Ground. Low intermodulation design and optimized return band prevents high cable modem signals from affecting forward band transmission. Therefore, the QCE-4WAY-45 series digital splitter is ideal for present and future multimedia applications. Flat F-ports with machine threaded spaced 1 inch center to center to accommodate security sleeve and tools with heavy duty ground blocks ensures proper grounding.